Beauty Tips/Tricks – Skin & Body – Helen, Naturally! Hello Helen, Naturally readers. I am naturally fed up with allergies at this point. So much so that I am thinking of going into hibernation mode until they are all cleared up. Problem is that would require some strong anesthesia and someone to check on me several times a day to make sure I am alive and clear. So no hibernation for me. I just have to suffer through it, deal with the nastiness of it, and drive my co-workers crazy with it! BUT……it does open the door for me to start a new little “mini-series” as I am calling it here on Helen, Naturally! It is the beauty tips series. I will use this series to talk about some of the tips/tricks that I use for day to day beauty care, makeup application, etc. Some of the tips are simple ones that some people may not think about, others are things I have picked up from friends/family, and some are things that I have learned along the way through my research/readings that would have made life so simple had I known them earlier. To kick of my tips/tricks I will give a tip for when you are sick, or if you just have a job where you have to deal with germs day in and day out….. Invest in some good, cheap hand cream! Yes I say cheap…..because you will wash your hands (hopefully) more often when sick than during any other time. Of course I wash my hands/sanitize more than usual because of my job. I am around little kiddy germs all day – everyday! I love my favorite hand cream. It is thick, rich. Feel luxurious. Smells great! Unfortunately it is also a little on the pricey side. Like as in 25 bucks for a 4oz. tube or 8 bucks for a travel size tube. I buy both. I am a sucker for this cream. Totally worth the splurge in my opinion…..but….. When you wash your hands as often as I do during a day this little hand cream gets really expensive to use. 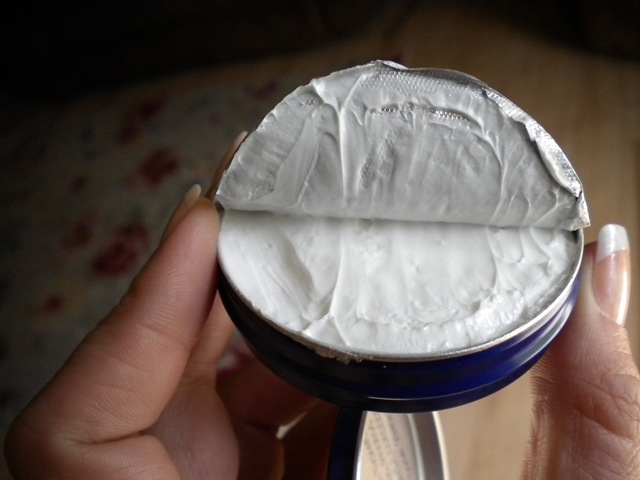 So I like to have a back up cream. I buy a non-expensive cream that I use during my work day (or when I am sick) when I know I will be washing my hands often. I save my Aveda cream for weekend use, or any other time that I am not at work and having to constantly wash hands/sanitize tables & toys. 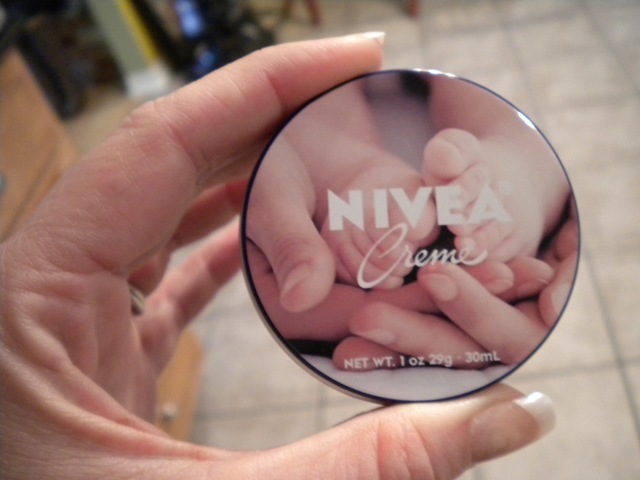 I found this cute little tin of cream this past weekend in Wal Mart. 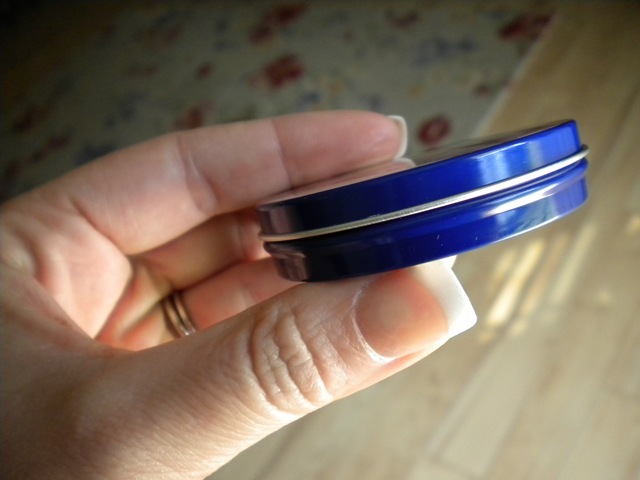 It is Nivea cream and packaged in a very handy little tin. I just love the little tin don’t you? It is a thick hand cream which I prefer to use. I hate thin lotions. It is one of my pet peeves when it comes to products. I want to feel like I am putting something on my hands as opposed to just rubbing in “water”. Another pet peeve I have with lotions/creams are smells. I can’t stand a cheap perfumey smelling lotion (yes I just totally made up that word). I hate lotions that smell like perfume. I just want a nice creamy, “soft” smelling lotion – you with me? Well this one isn’t as pleasant as I would want one to be. It still has that kind of generic cream smell, but it isn’t overpowering. It doesn’t linger on your skin making you notice the smell every time you move your hands so it is okay in my book. Like I said, I am only using this during the work day to prevent from using my nice creams too fast! So beauty tip numero uno featured on Helen Naturally – buy cheap hand cream when you are sick or if your job requires frequent hand washing! Pretty common sense right? You would be surprised at how many people I know who wouldn’t think of this. I often have friends complain about needing to find a more reasonably priced lotion because they use it so quickly! Previous postWIAW – I have a cold….. So sorry about the allergies! I have them all year so I can relate…it’s very uncomfortable. Great tip, thin lotions are one of my pet peeves too! This tip makes a lot of sense! I’m awful about using hand and face cream. I know that it’s important and that it will help keep my skin looking young, but I’m lazy. Maybe you could do a post about how to set up a routine, because that’s definitely my struggle! Oh that would be a fun post to write. I will have to start working on that!! I have expensive Burt’s Bees hand cream and it’s so thick, I always avoid touching anything after I put it on and you’re right, I do wash it off anyways. The cheap stuff is the way to go sometimes.